/ Best Hot Wings in Destin FL / GRAYTON BEER CO. TAP TAKEOVER TODAY@6PM 4 BOWL GAMES, Wings 59¢ Ea. 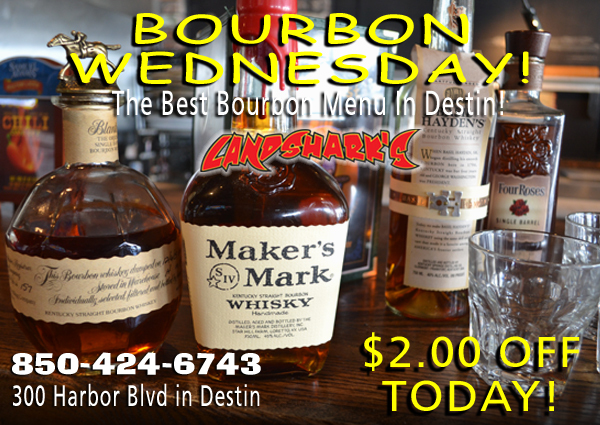 ALL DAY $2 OFF BEST BOURBONS in Town! THE ‘GRAYT’ TAP TAKEOVER 2016 HAPPENS WEDNESDAY@6PM! COME ENJOY A GRAYT SELECTION FROM OUR OWN LOCAL GRAYTON BEER COMPANY! 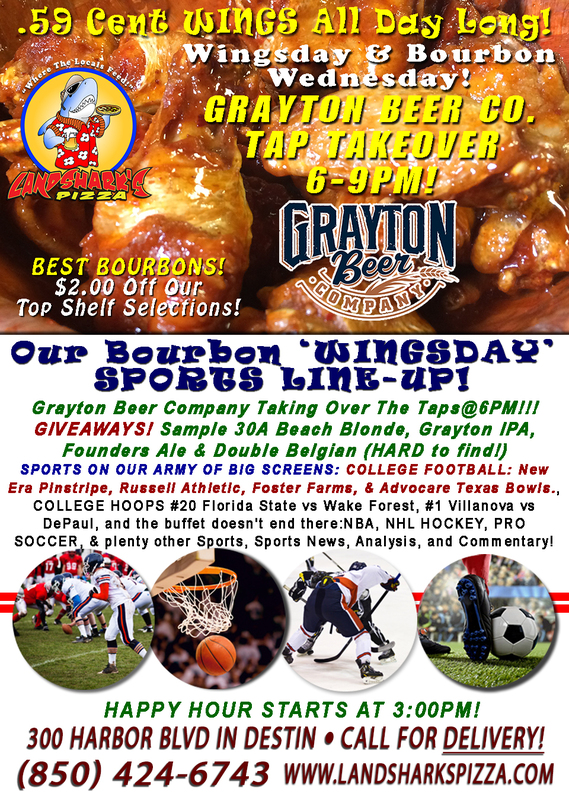 You should definitely stop by today as Grayton Beer Company rolls up in the spot today at 6PM to take over the taps……festoon you with delicious tastings of amazing regional craft beers, and send you home with some SWEET GIVEAWAYS! Here’s your chance to enjoy the VERY LIMITED SPECIAL BELGIAN DOUBLE ALE by true brew masters! 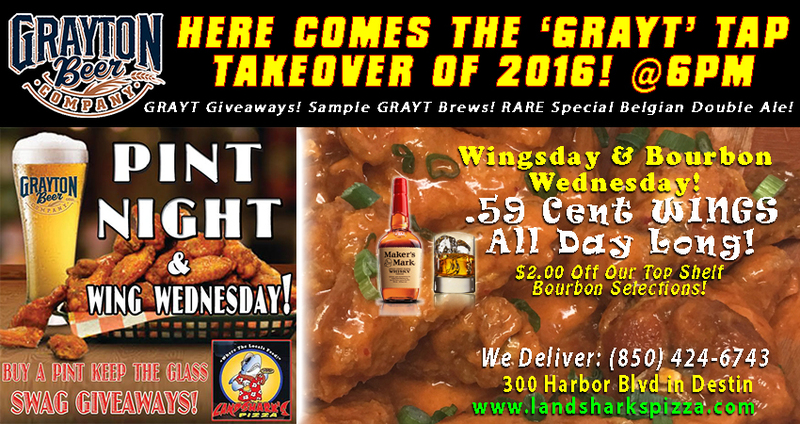 Wrap up your 2016’s final Wednesday with AWARD-WINNING, SCRUMPTIOUS, JUICY Wings, Craft Beer, & Maybe a TEENSY bit o’ the ole Bourbon! Did I mention SPORTS!? Heck yeah! COLLEGE BOWL GAME-TIME SPECIALS $8 Domestic Pitchers | $8 Shock Top Pitchers|$12 Domestic Buckets | $6.99 Bratwurst & Sauerkraut & Succulent Seasoned Fries|$6 Bloody Brian Cocktails, AND MORE! SPORTS ON OUR ARMY OF BIG SCREENS – COLLEGE FOOTBALL BOWL FEVER: New Era Pinstripe, Russell Athletic, Foster Farms, & Advocare Texas Bowls! COLLEGE HOOPS #20 Florida State vs Wake Forest, #1 Villanova vs DePaul, and the buffet doesn’t end there. NHL PENGUINS vs HURRICANES|CANADIENS vs LIGHTNING; NBA Action with PACERS vs WIZARDS, KNICKS vs HAWKS, WARRIORS vs RAPTORS on tap! 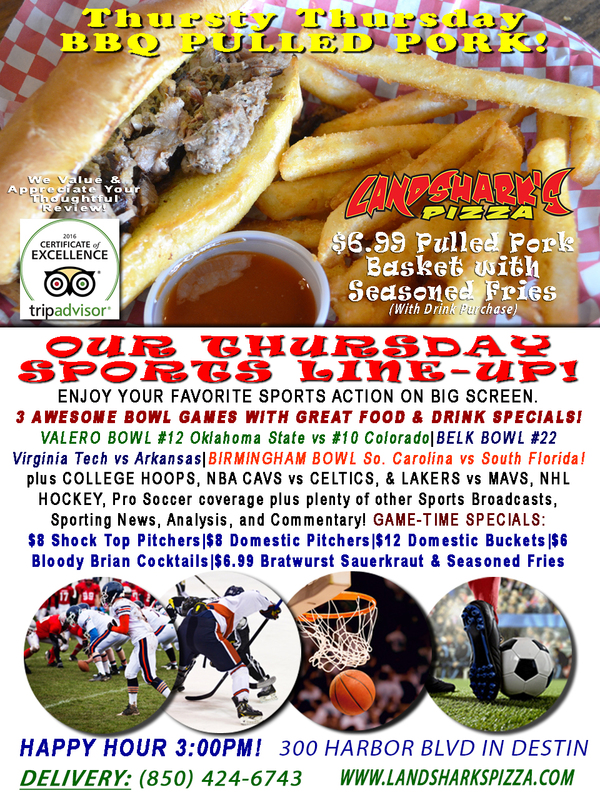 Plus PRO SOCCER, plus plenty of other Sports Broadcasts, Sporting News, Analysis, and Commentary! Don’t bother getting out of bed! AMERICA IS GREAT AGAIN BECAUSE WE BRING THE AWARD-WINNING FOOD TO YOU AT HOME (or vacation condo, etc.). Delivery starts during the lunch hour BRIDGE TO BRIDGE in Destin (sorry, can’t go to Fort Walton or out past Destin Commons (yeah, we all know how the traffic is, especially with the new widening project from 4 to 6 lanes about to start). 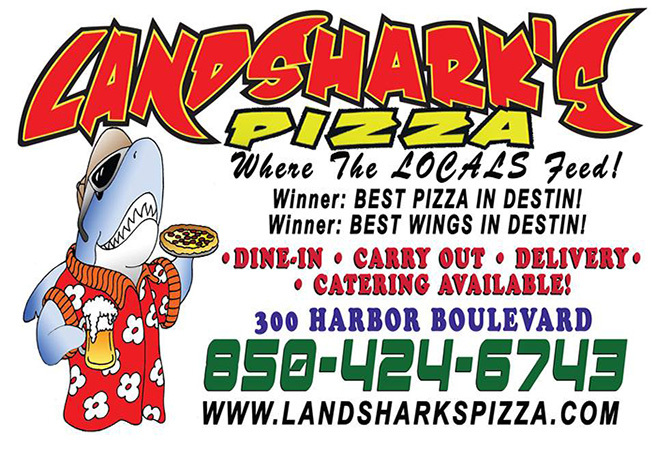 Give us a call DELIVERY (850)424-6743 for more info! Previous Post: « THE ‘GRAYT’ TAP TAKEOVER 2016 – WED. DEC 28TH@6PM! GIVEAWAYS! GRAYT CRAFT BEER & WINGS!